Decortaive Basalt stones in a rocked landscape garden - Universal Landscape, Inc. 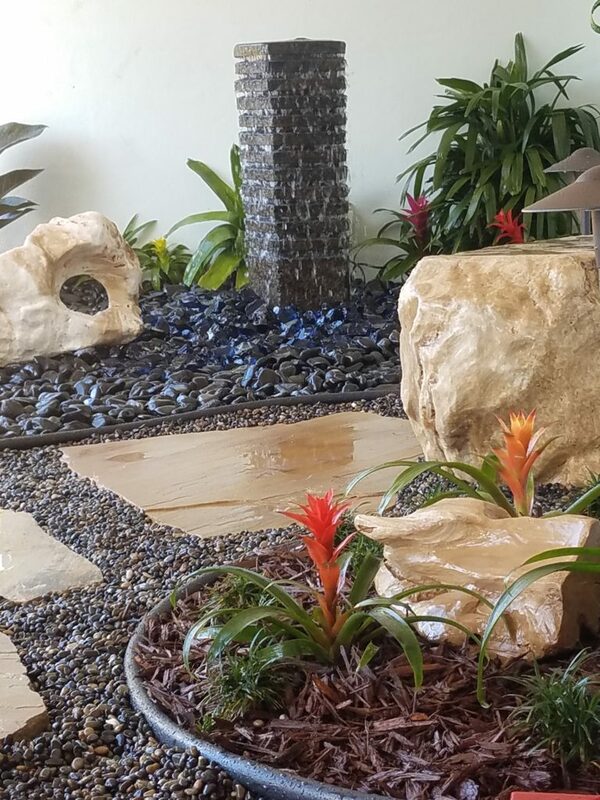 This basalt stone fountain is the center piece of this small rock garden nestled in some tropical landscape plantings by the small covered front door area of this Delray Beach waterfront home. Basalt Boulder seating bench is centered in the view to the right which offers a beautiful ornamental look as well as a functional place to sit in this small area with meditative qualities. Tennessee Crab Orchard stepping stones lead the visitor to rest at the large Onyx Bench boulder midway into the area. In the foreground & again in the background area 2 more Onyx polished stones adorn the scene. The larger in the back area, to the right and front of the fountain has a hole in the stone that nature created. The Darker brown, slotted Basalt Fountain tower is the center piece of the rock & landscaped garden. Tropical plants adorn the small pathway for a softening low border of green and colored blooms. The lighter color of the Crab Orchard stepping stones is contrasted by the darker smaller pebbles of the Mixed Mexican Beach Chattahoochee stone. 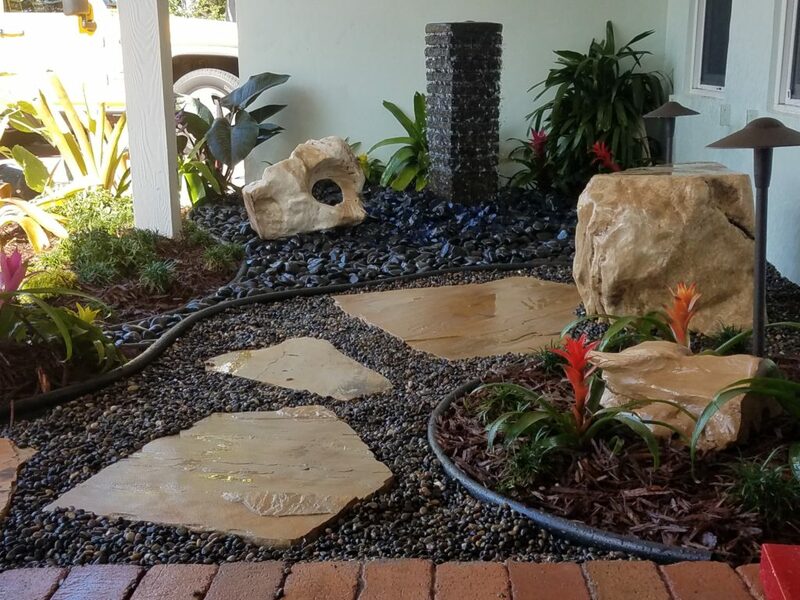 The Onyx stones, Bench & Fountain piece provide the main accent elements for this small garden to the entry with meditative qualities of a spot to relax. To view more photos of the transformation of this small area that had concrete removed, feel free to visit the project progressions section of our website here.